Clearing, restoring and energizing. 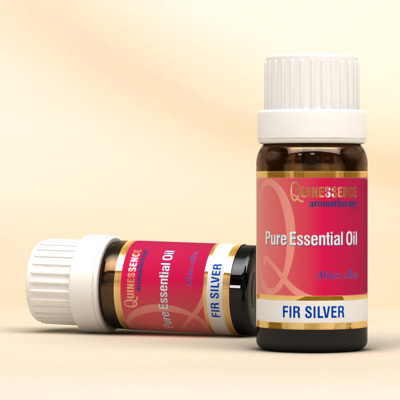 The distinctive and refreshing pine-forest fragrance of Silver Fir Essential Oil has an affinity with the respiratory system and helps to maintain clear sinuses. A few drops added to hot water in a traditional steam inhalation quickly assists in clearing a stuffy nose or respiratory passages during the cold season. In massage blends Silver Fir Essential Oil soothes and comforts weary, aching muscles and joints after a long and strenuous day, due to its warming rubefacient properties. It has a mild analgesic action that really seems to help ease stiff joints and muscles, whilst acting as a tonic to the whole system. The tonic action of Silver Fir Essential Oil also helps to boost the emotional system, bringing a breath of fresh air to dispel negativity, sadness, stress and nervous exhaustion. Diffusing this oil is like a walk in a coniferous forest - uplifting, refreshing and highly invigorating.